We all know that many of our feathered friends bulk up to survive the colder temps (or they migrate south if it is too cold). You also may know that many of the other critters in the yard hibernate or slow down their pace in the winter months. But what happens to bees? Well that depends on what type of bee you are talking about. For bumblebees most of the colony will die and only the new bumblebee queens will survive. They will mate with the males and feed to build up fat reserves ready for their winter snooze. They like soil banks and sometimes even soft potting soil in a plant pot or a compost heap…so be careful when you begin to start prepping for the spring. Honey bees don’t really hibernate, but are not really out and about. They become less active, when the temperature falls and huddle together in a temperature regulating cluster called a ‘winter cluster’. By this time, there will be no males (drones) in the hive or nest. For solitary bees, like mason bees, they overwinter in hollow place such as plant stems or other small spaces in the garden. It is a good reminder not tidy up everything in the garden and leave some things for the critters to survive the winter. These critters have an interesting form of winter survival. They stop flying when the temperature drops below 50 degrees and crowd into the lower portion of the hive, forming a cluster. The worker bees encircle the queen bee and flutter their wings, creating energy to keep the center around 80 degrees. The colder the weather, the tighter the cluster becomes. Observations have shown that hibernating honeybees consume up to 30 pounds of stored honey during the winter months, which helps the bees produce body heat. On warmer days, honeybees will venture out for short flights. 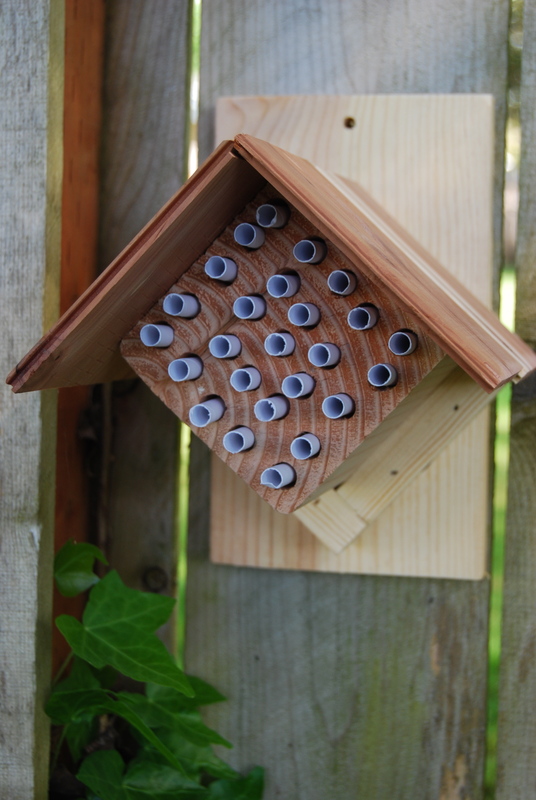 The adult mason bee lives only for about 6 weeks, unlike honeybees. They are solitary creatures and each female makes her own nest. Inside the nest, eggs hatch and each larvae has its own cell and food supply in it’s own compartment. After the larvae feeds, it spins a cocoon and remains there the whole summer. In the fall, the larvae molts and transforms into adult form. They spend the winter as adults in the cocoon and then emerge in early spring to start another generation. Although bumble bees are a closer relative to honey bees, they do not maintain colonies throughout the winter. The last of the summer colony will contain a number of queens. Each of these queens will mate, she will find a place to overwinter and will hibernate until spring alone. The queen depresses her rate of metabolism which allows her to hibernate while burning very little fuel. In the spring she will find a place to build a nest and begin to lay and tend to her eggs. Last year, in Wilsonville Oregon there was an incident where thousands of bees were found dead in a local parking lot. They were falling from the trees and found dead on the ground. There is currently an active investigation being performed with cooperation from The Oregon Department of Agriculture, City of Wilsonville, City of Sherwood and the Xerces Society. It is believed that this incident is a direct result of pesticide use. This is unfortunately not an isolated incident and has been an ongoing problem for several years now nation wide. Our agriculture, ecosystem and food supply are reliant on the bees and the dwindling bee population is having a huge impact. It is our responsibility to be educated about this topic. Click on the image below to download the guide “How to Reduce Bee Poisoning from Pesticides” provided on the Oregon State Beekeepers Association’s website. Both Home Depot and Lowes are stepping up to help protect the bee population. Home Depot has required nurseries to label plants treated with neonicotinoid pesticides, and Lowe’s has made a commitment to phasing out sales of products that contain them. What are neonicotinoids you ask?…Neonicotinoids are a new breed of insecticides that are chemically related to nicotine. Like nicotine, the neonicotinoids act on certain kinds of receptors in the nerve synapse. They are more toxic to invertebrates, like insects, than other higher organisms, which is why they are attractive to deter insects. They have become popular because they are water soluble, which allows them to be applied to soil and be taken up by plants. So what is the danger? New research points to to the impact on bees and other beneficial insects. 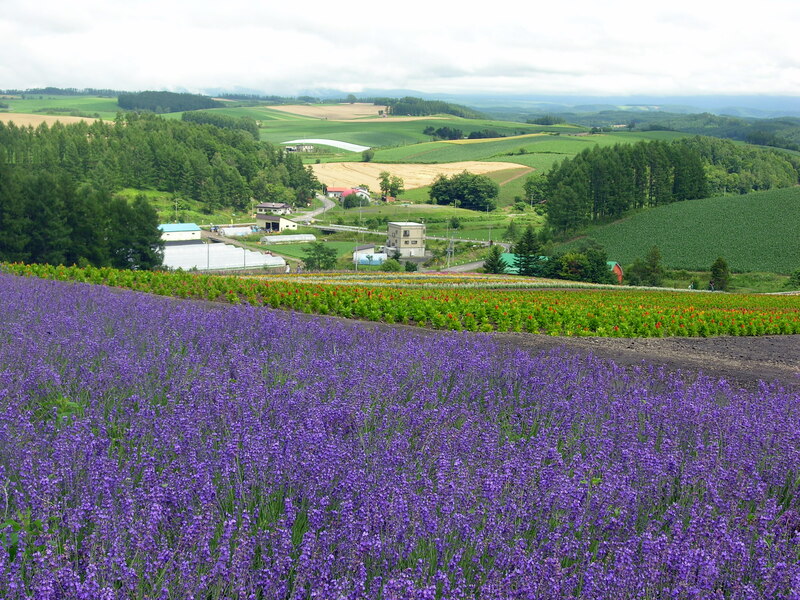 The exposure in a plants pollen passes on a low level contamination. The exposure level does not normally kill bees directly, but is found to effect some bees’ ability to foraging for nectar and locate , and possibly impair their ability to find their way home to the nest or hive. When shopping for plants, ask question. Identify resources in your area that provide organic and non-neonic product selections. 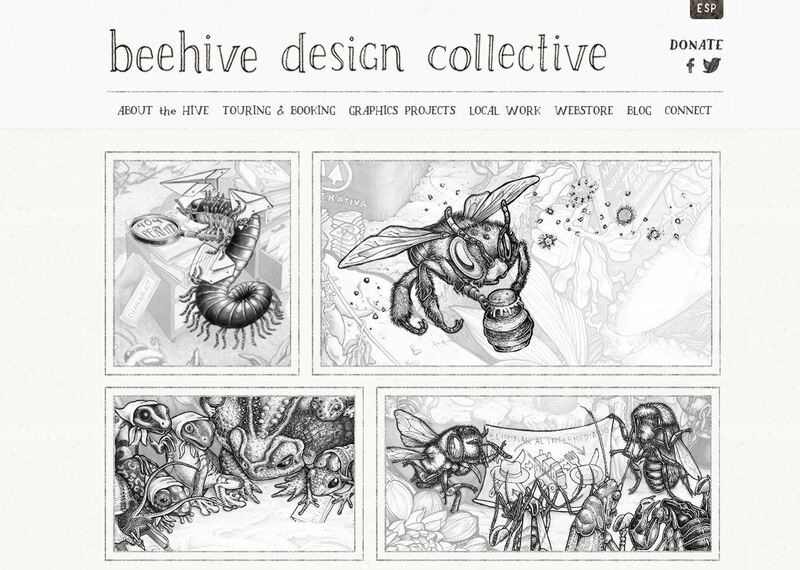 Who is The Beehive Design Collective? The Beehive Design Collective is an all-volunteer group of artists dedicated to “cross-pollinating the grassroots” by creating anti-copyright images for use as educational and organizing tools. They work to cut out the questions and anonymously by credit every piece of shared artwork to the collective as a whole; you won’t find the names of individual artists listed anywhere. They distribute our graphics by sliding scale donations, and do give a portion of the materials created to frontline communities, educators, and organizers actively working to help further the collective. Wouldn’t it be amazing to have more resources like this available in our community!